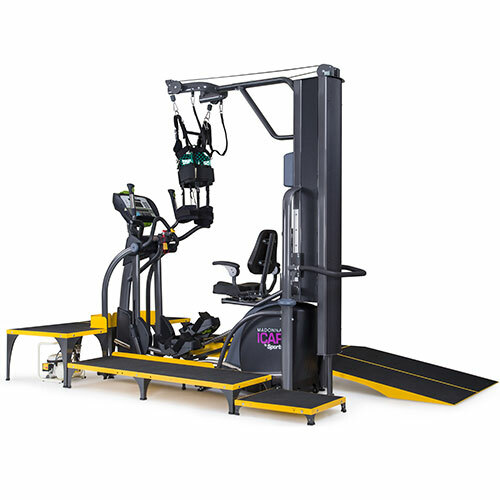 Dr. Judy Burnfield of the Madonna Rehabilitation Hospital and Research Institute partnered with SportsArt after concluding that our elliptical mimicked the Kinematic and Electromyographic (EMG) patterns of walking closer than any other. 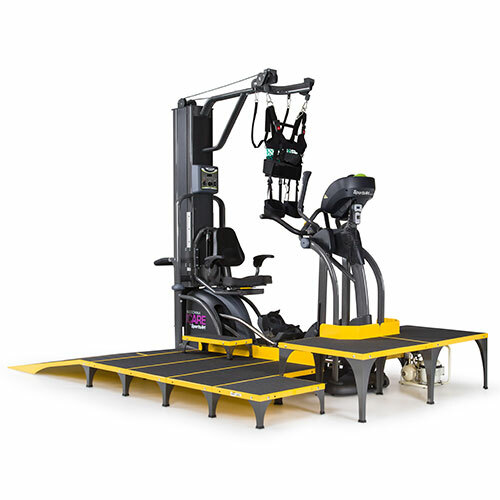 It was through this partnership that the ICARE rehabilitation system was created, comprised of three parts: the E875MA elliptical, E875MU body unweighting system, and the E875MP wheelchair ramp, stairs, and clinician platform. 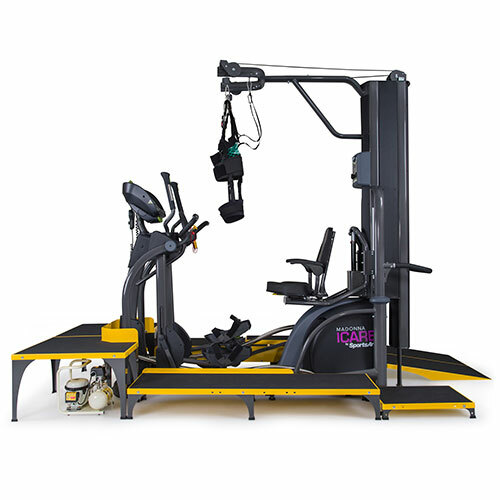 The full ICARE system provides zero, partial, or full-body weight support and motor guidance which frees clinicians from hours of strenuous manual manipulation, allowing them to provide detailed feedback to the patient. To learn more, click the button below. Dimensions MA+MU+MP: 145 x 89.3 x 102.5 in.